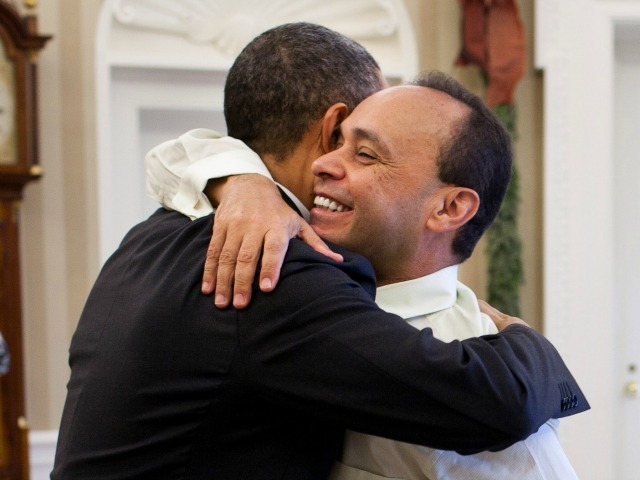 On Saturday, Rep. Luis Gutierrez (D-IL) said President Barack Obama’s Deferred Action for Childhood Arrivals (DACA) program was a “down payment” to the Hispanic community before more grants of amnesty for illegal immigrants. Gutierrez said giving amnesty to 100,000 illegal immigrants was “not expansive” enough, and he called on Obama to give amnesty to “millions of our undocumented,” including the parents of illegal immigrant children. As Gutierrez noted, nearly 600,000 DREAMers who met various conditions got temporary work permits and amnesty under DACA, which Obama enacted via executive fiat in 2012. Sen. Ted Cruz (R-TX) has said no future grants of temporary amnesty should be awarded as a condition for any border bill. There have been nearly 60,000 illegal immigrant children who have unlawfully entered the country since October of last year. And the number of illegal immigrant children from Central America spiked after Obama enacted DACA even though murder rates in Central American nations declined during the period. Gutierrez said there are 5 million children in the country who are worried that one of their parents will be deported. He said if these illegal immigrant parents are working and are part of their communities, then they should be allowed to stay. He called for visas to be issued to illegal immigrants in the United States and again pressed Obama to “expand” his grants of amnesty. After House Speaker John Boehner (R-OH) informed Obama that Congress would not vote on amnesty legislation, Obama said he would executive actions to change as many of the country’s immigration laws as he can. When House Majority Leader Eric Cantor (R-VA) was ousted for his support for amnesty legislation in a June primary, Republicans in Congress decided not to move forward on amnesty legislation they were ready to push. Gutierrez thanked Reps. Paul Ryan (R-WI) and Mario Diaz-Balart (R-FL) for working with him to try to get comprehensive amnesty legislation done.